Hi, my name is Rachel. I live in Melbourne, Australia with my Partner, our Daughter, Willow, our cat and Two birds. I was born in a coastal town a few hours from Melbourne but I have lived in Melbourne for over 25 years now and I love it! After I had Willow I started working from home and I had more time to play around with all the things I never had time for before! I started making toys and teddy bears for Willow by this time I couldn’t stop and I opened my Etsy shop! This is where I discovered Blythe. I realized my smaller teddy bears were teddy bears for Blythe. 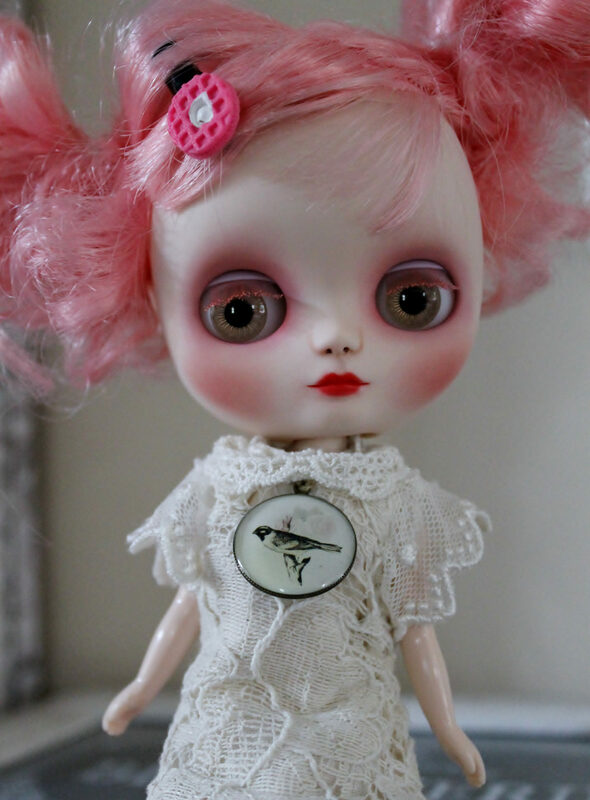 My lovely customers would send me photos of them and I fell in love with this cute doll! 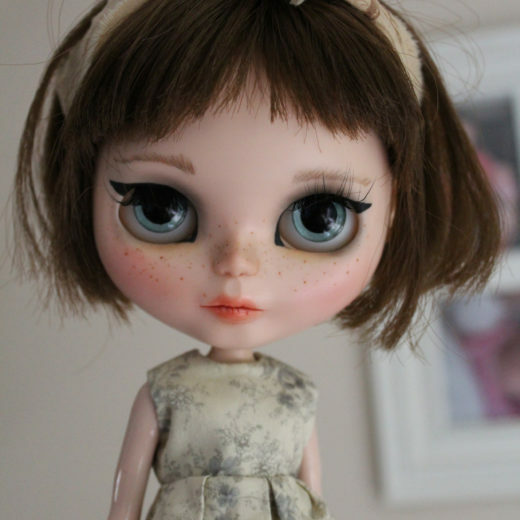 I started customizing Blythe when I realized the ones I really loved were customized and sadly out of my price range. 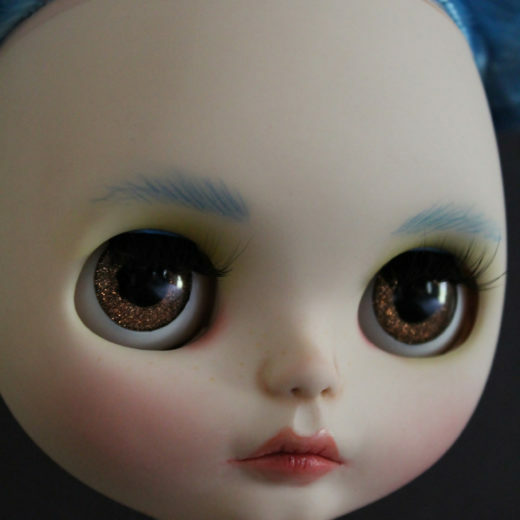 I badly wanted a teal haired girl and went about customizing one for myself. 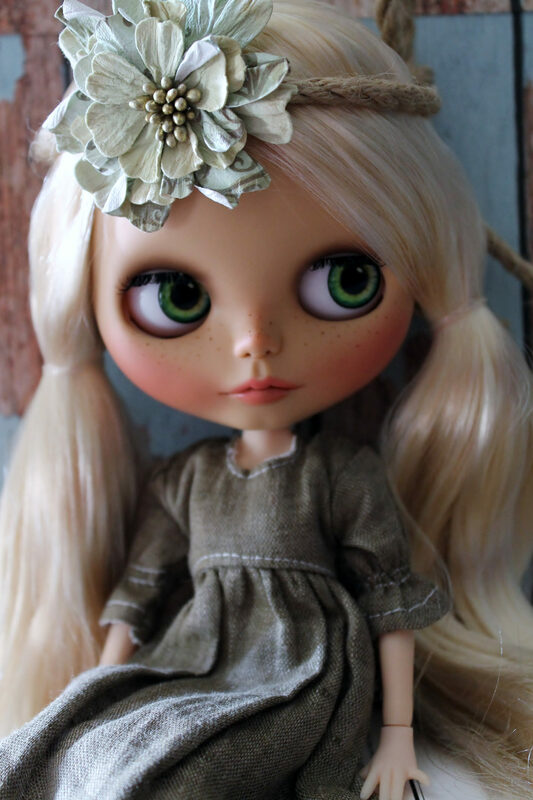 We have a lot of my early Blythes around as it took me about a year before I started selling my girls! After that, well I’m sure most people will tell you that it’s super addictive! My job is also a hairdresser and wig maker ( for humans) and working from home gives me the chance to go from hair to teddy bears to dolls easily throughout the day. 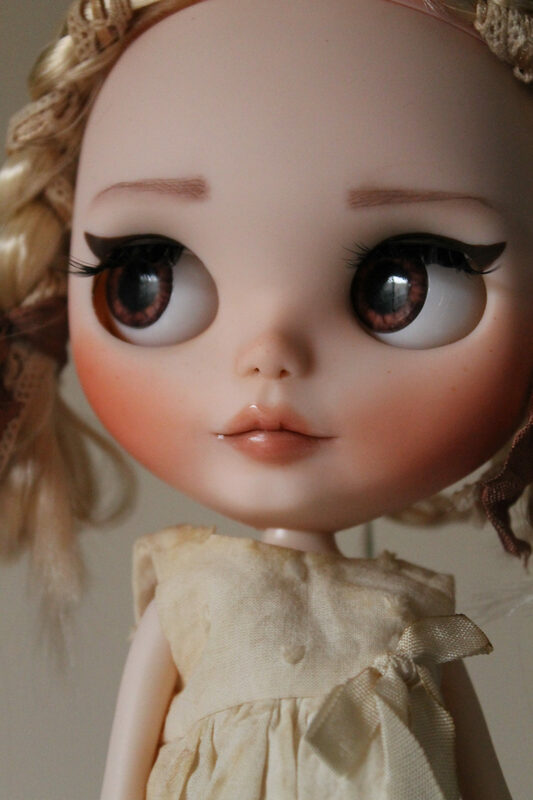 I also love to paint and take photos and I would absolutely love to create my own doll one day! 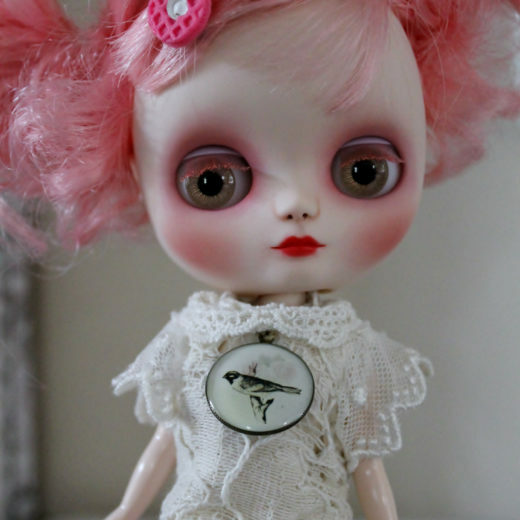 I am a collector of many dolls, I first started collecting petite Blythes then Middies and worked my way up to Neo Blythes. 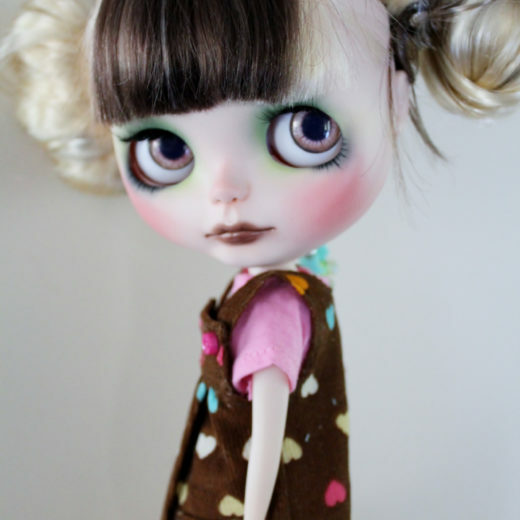 I also love Dal and Pullips, Momoko, Licca and toffee dolls and any other dolls that take my fancy! 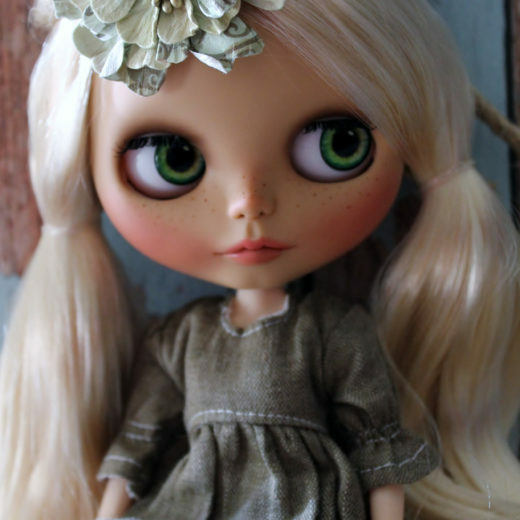 Therefore I also customize most of these dolls! I love customized Petites and Dals! And I have even given monster high and barbies a go. I love the variety. One thing about customizing I’m not mad about is rerooting! 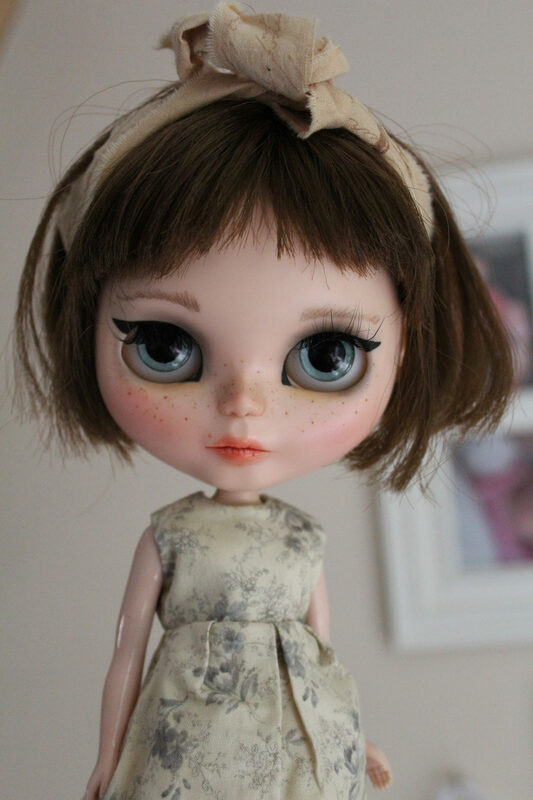 I don’t mind doing petite Blythes but I only do Neo Blythes every once in a while! I love everything else though, painting eye chips and eyelid art, new makeup! 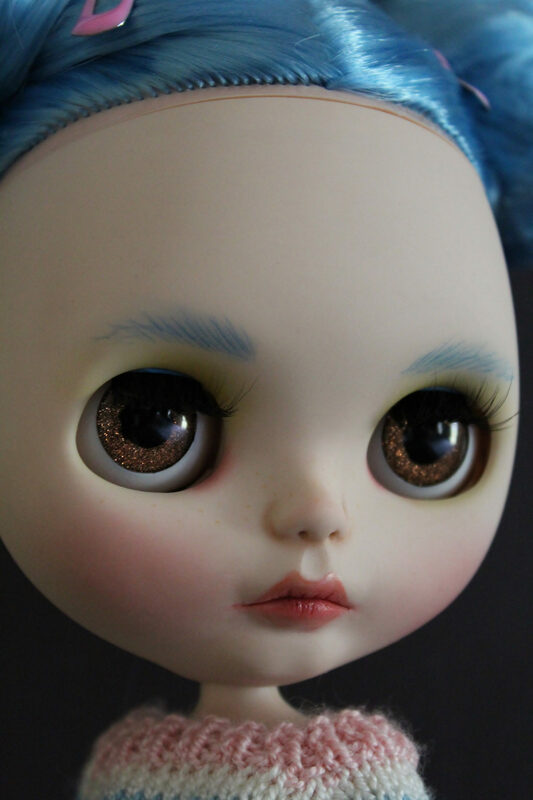 I am drawn to more glittery eyes and eyelids, I love using mica powders, glitter paints, and gold leaf. I love makeup myself especially the bright glittery looks. 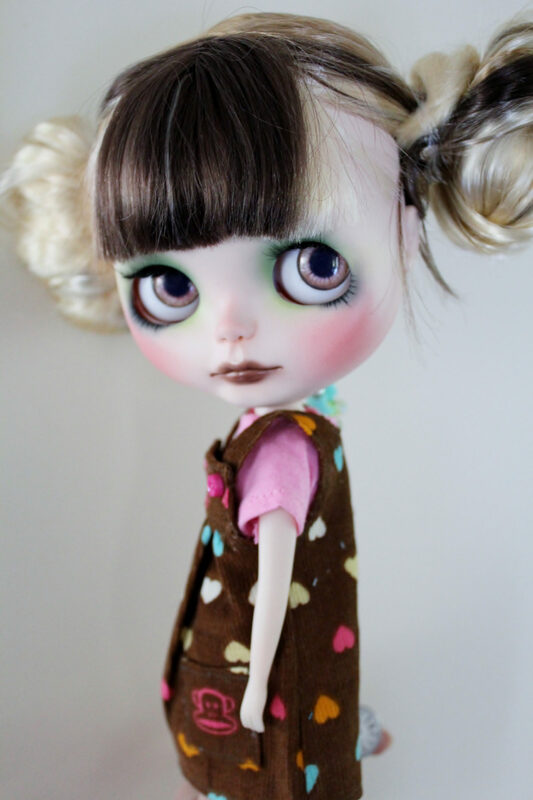 I feel like my style is quite eclectic, I love doing all types from cutesy to glamorous, the doll I am working on will usually let me know! I love collecting clothes too so I can have the complete look. I have a big suitcase of clothes from doing trades and shopping on Etsy. I also love doing commissions. 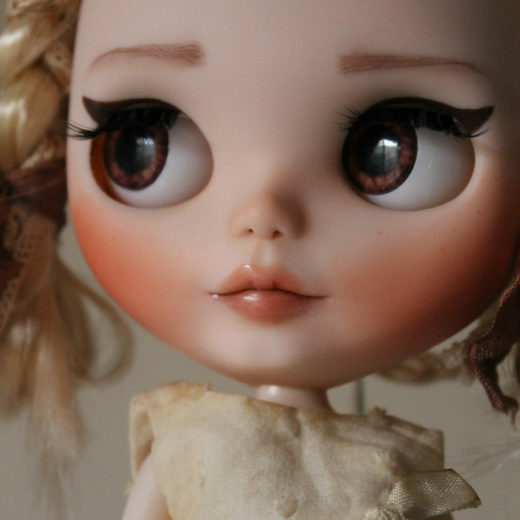 I really like helping someone’s vision come to life, although I can never replicate a doll even when I try! But it’s an exciting and anxious wait for them to arrive home to there Mums with a full personality. I feel very lucky to be a part of the wonderful dolly world it’s full of amazing, creative and beautiful people inside and out.